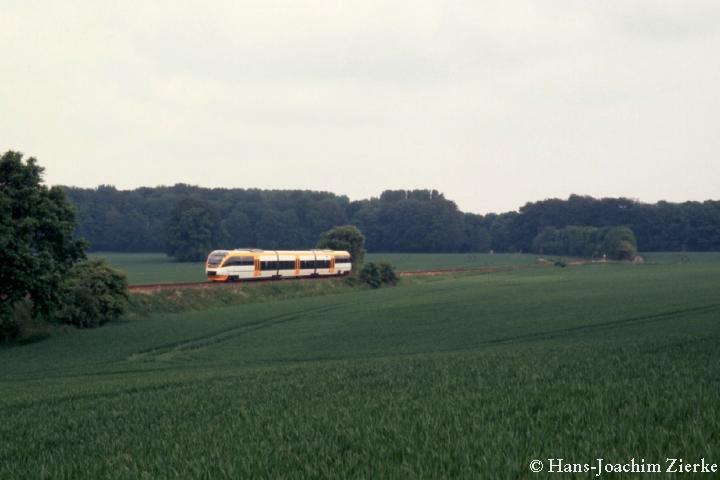 The train passes through fields near the village of Fiegenburg. The small settlements along this part of the line are part of Preussisch Oldendorf, a town of 13000. Its administration successfully worked against closure of this line in the days of the state railroad. After the railroad reform and service improvement to an hourly memory schedule, ridership results proved them right.